A nucleosomeis a basic unit of DNA, consisting of a segment of DNA wound in sequence around eight histone protein cores. This structure is often compared to thread wrapped around a spool. The X-ray crystal structure of the nucleosome core particle of chromatin shows in atomic detail how the 146 residue histone protein octamer is pairs DNA and organizes a superhelix around it. Histone amino-terminal tails pass over and between the gyres of the DNA superhelix to contact neighbouring particles. 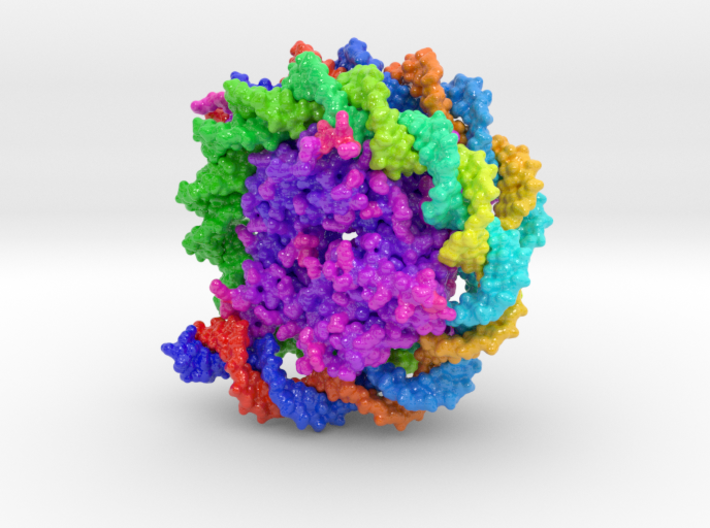 Model of Nucleosome 3D printed in full color sandstone. Histone core colored purple according to their bFactor, warmest=pink, coolest=blue. 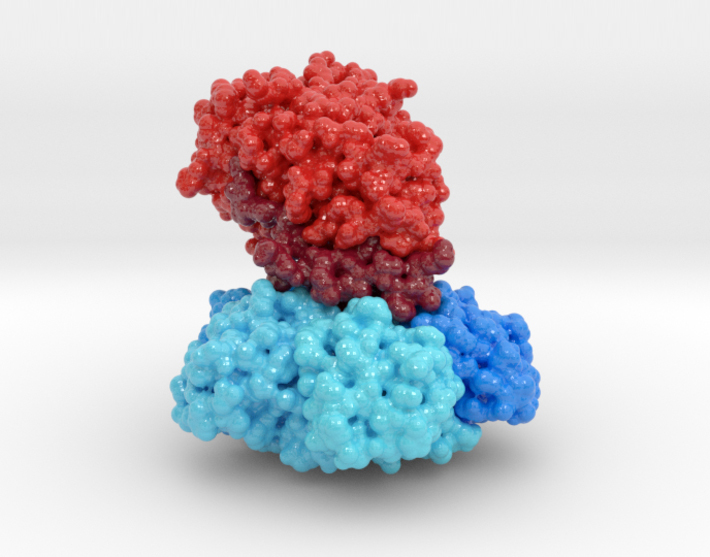 The coiled DNA strand is colored from N to C Terminal blue to red. This allows us to see the anti-parallel winding of one DNA strand to another.